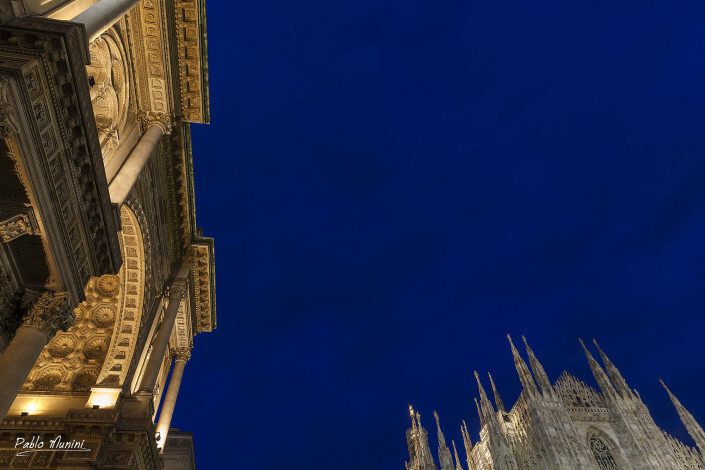 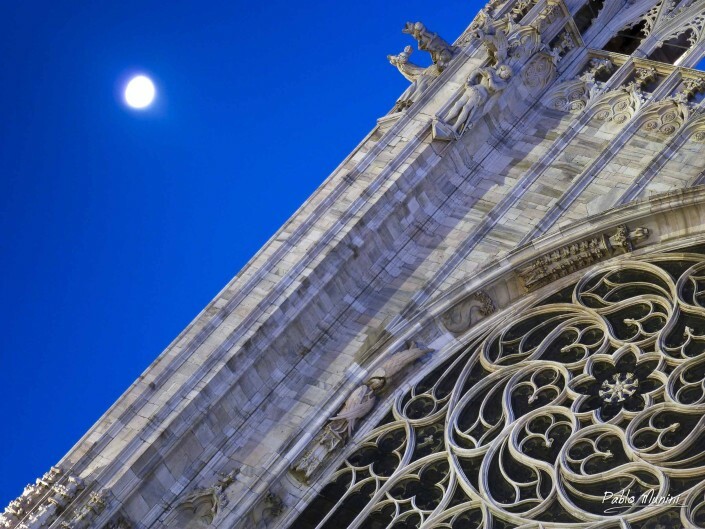 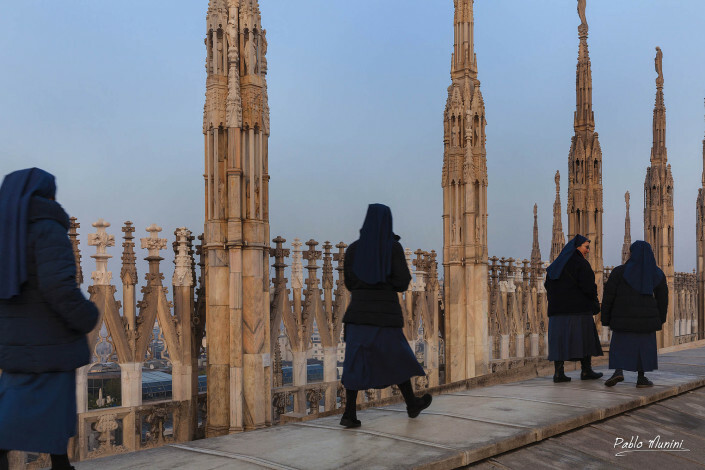 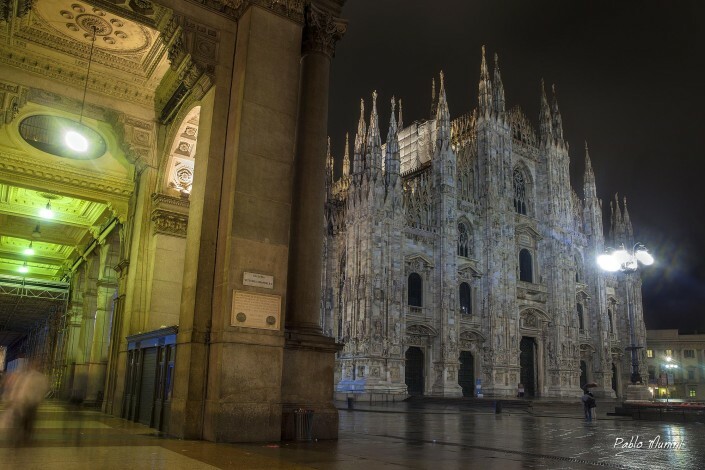 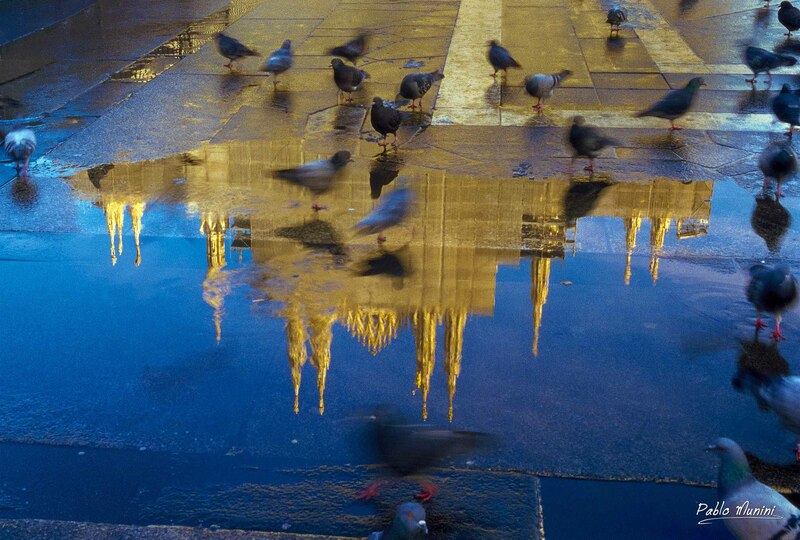 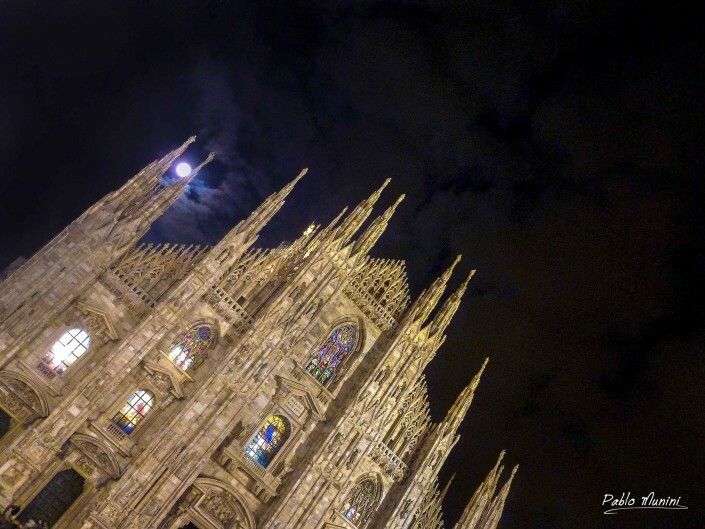 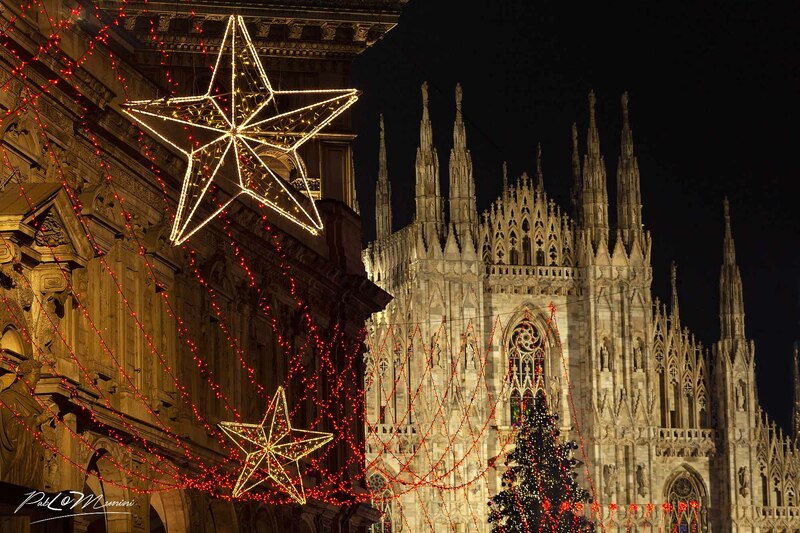 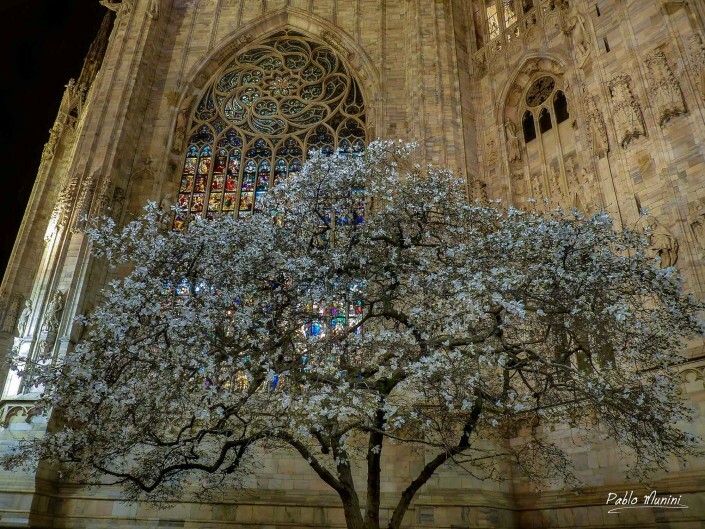 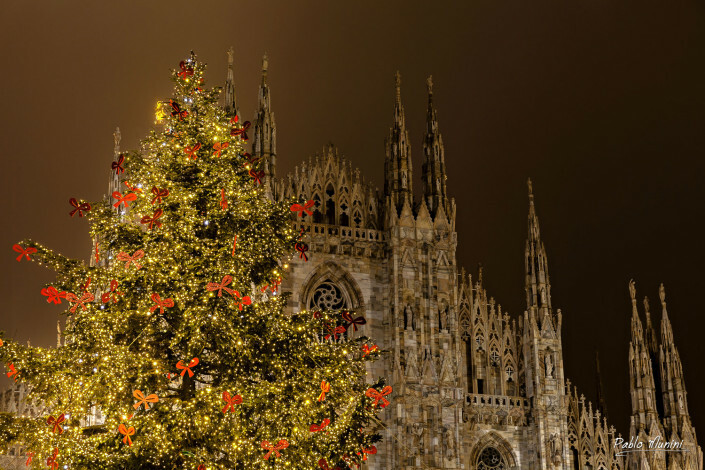 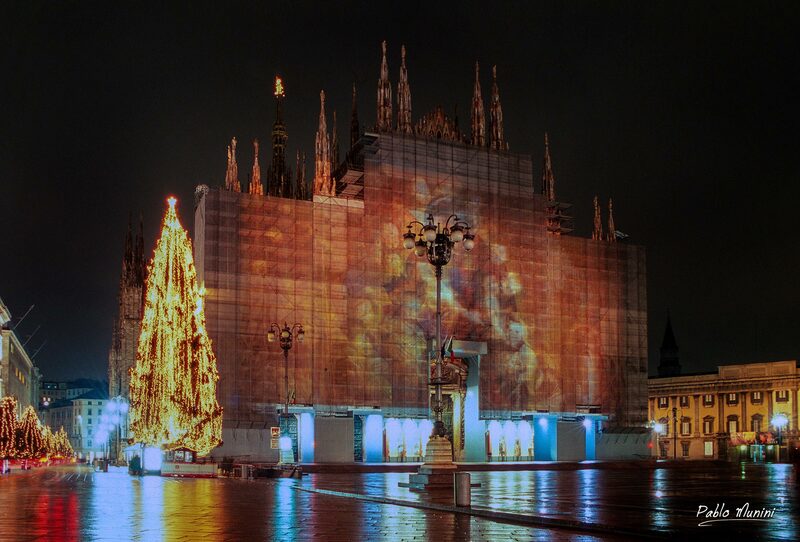 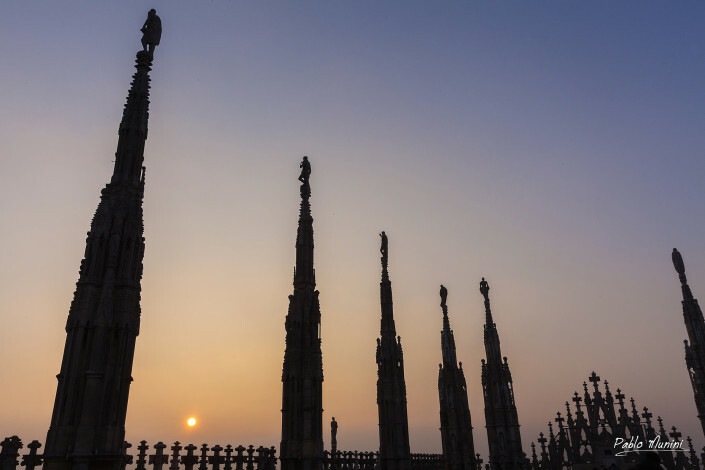 Milan cathedral images.Gothic cathedral Milan photography. 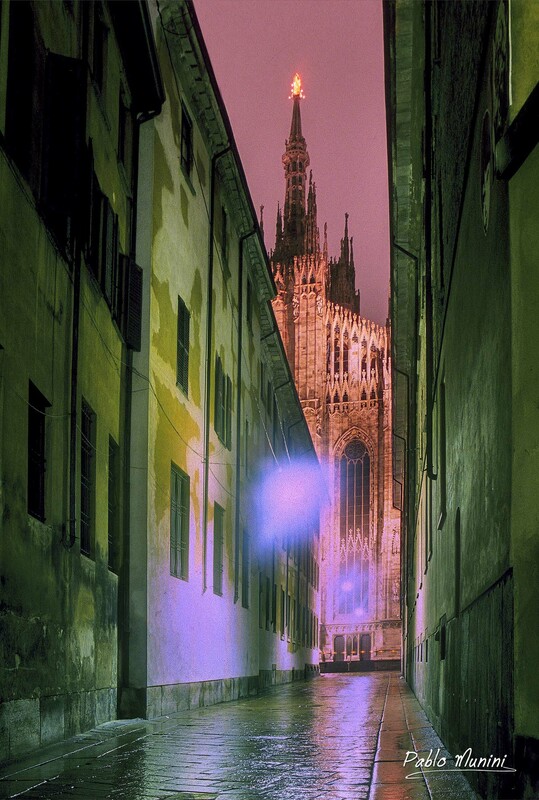 One night in the fourteenth century, the nobleman Gian Galeazzo Visconti had a strange dream. 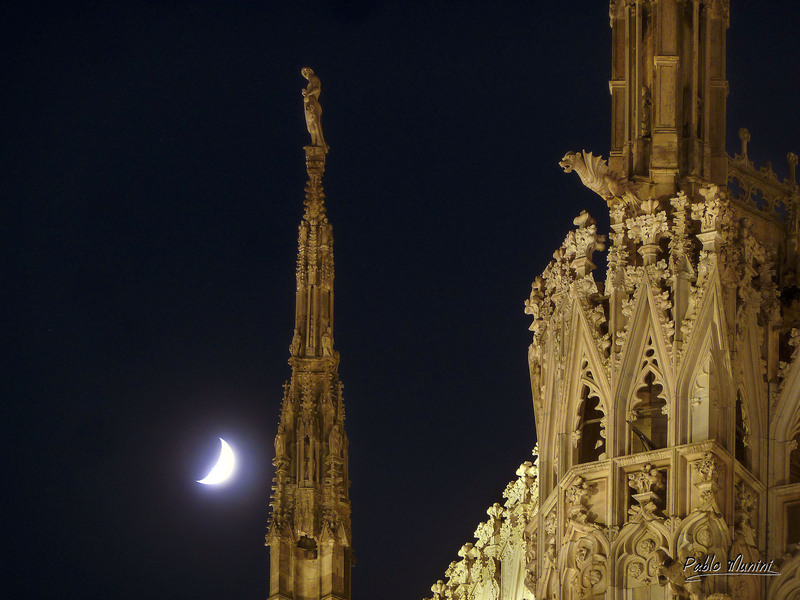 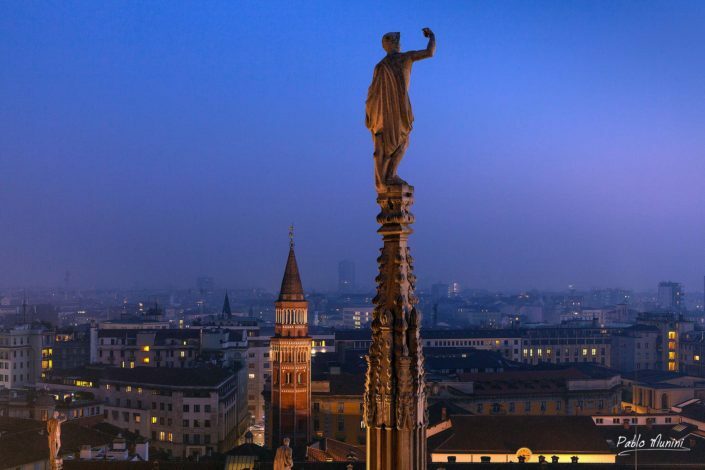 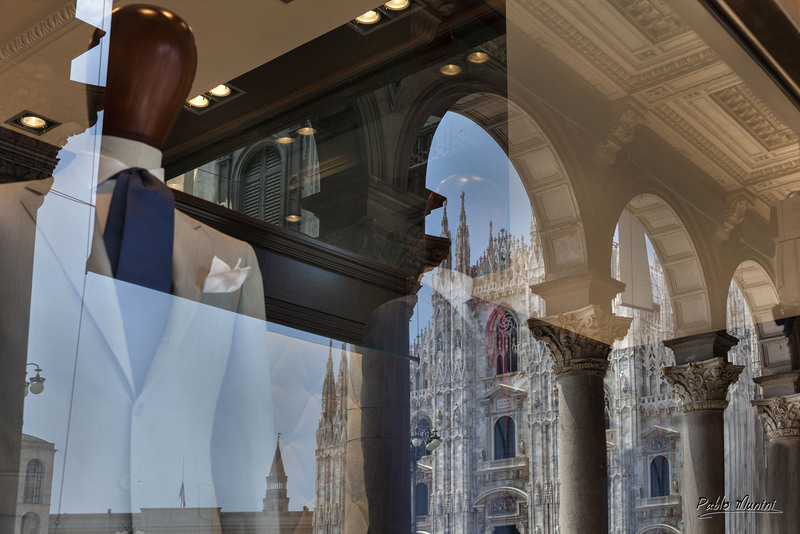 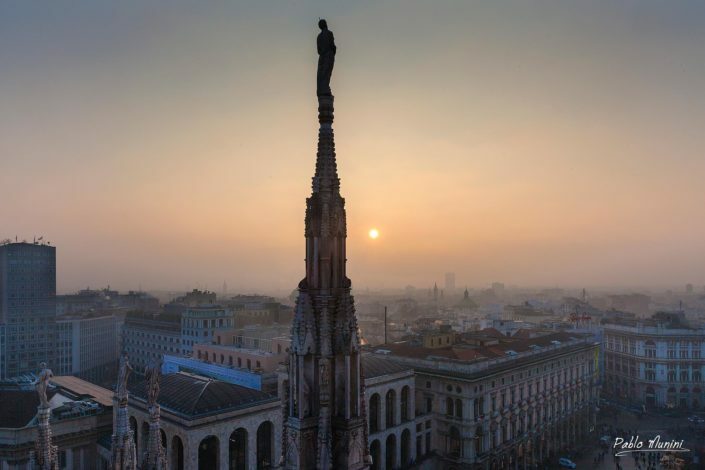 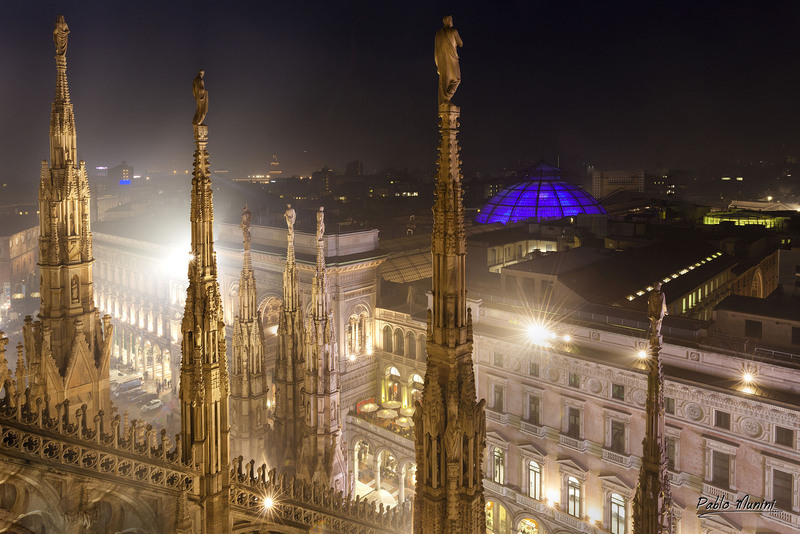 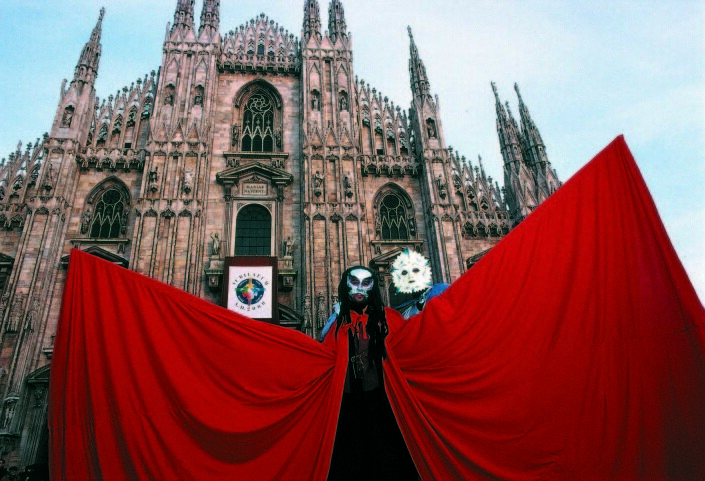 The devil came to Visconti and instructed him to build a giant cathedral in the center of Milan. 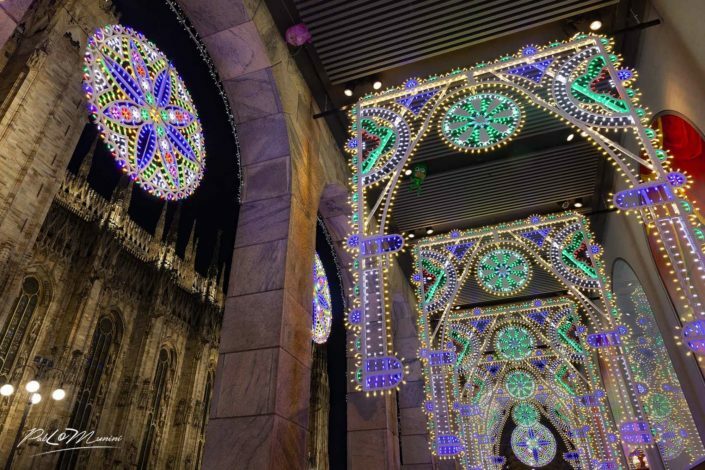 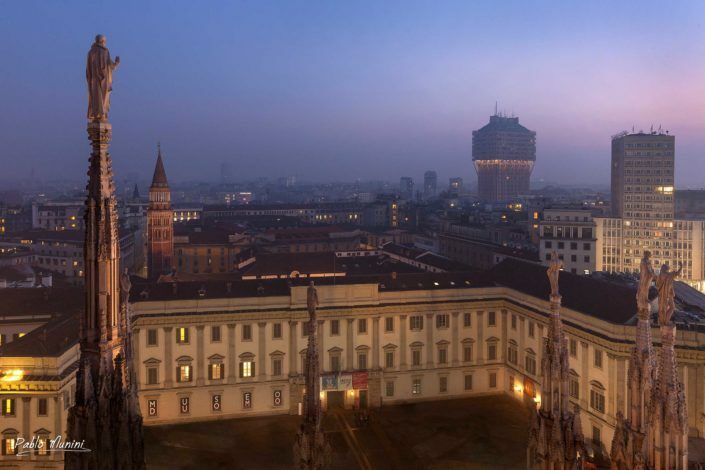 Thus began the “Veneranda Fabbrica del Duomo”, or Venerable Factory of the Duomo of Milan. 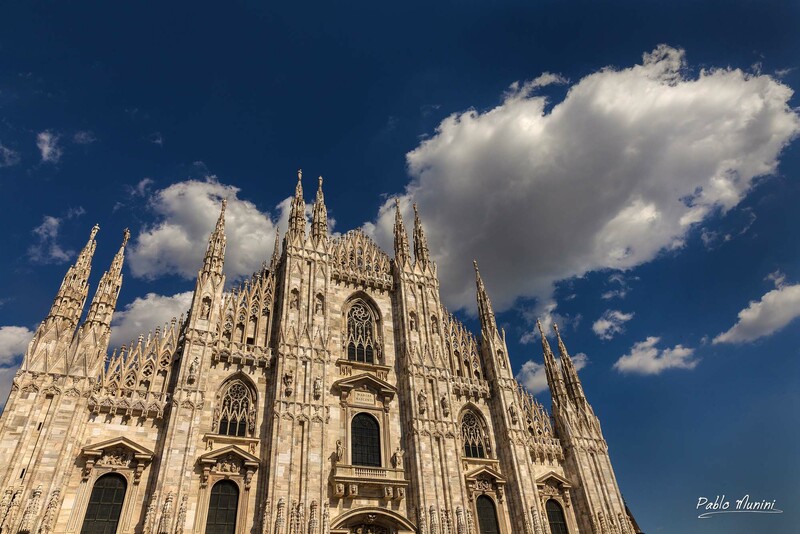 The “Fabbrica” oversaw the construction of the Cathedral of Milan, begun in 1388 and completed in the nineteenth century. The Cathedral’s meticulously maintained ledgers display the contributions received over the centuries for its construction; they show that the majority of contributions came not from the wealthy, but rather from the poorest families of the region. 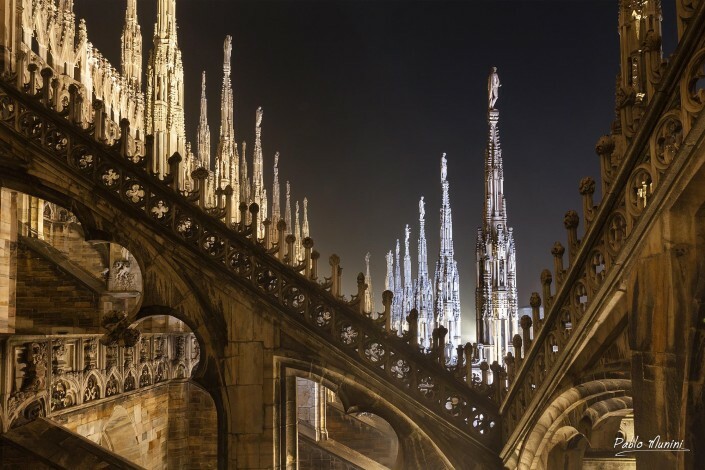 Because it was built over several centuries, “il Duomo” does not reflect a singular architectural style, but is the result of a continuous reinterpretation of the Gothic style. 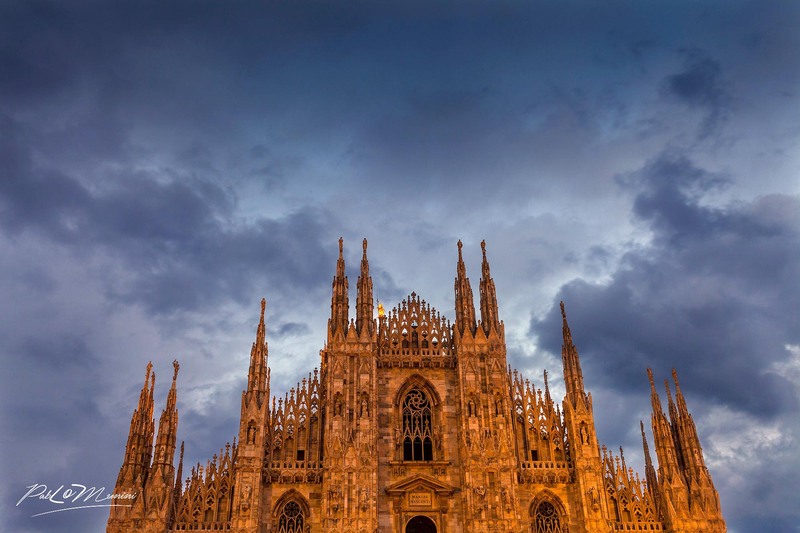 Today, the rapid pace of Lombardy life discourages modern urbanites from stopping to ponder and admire this beautiful work of architecture that embodies so concretely the spirit of sacrifice, tenacity, and creativity of the Milanese. 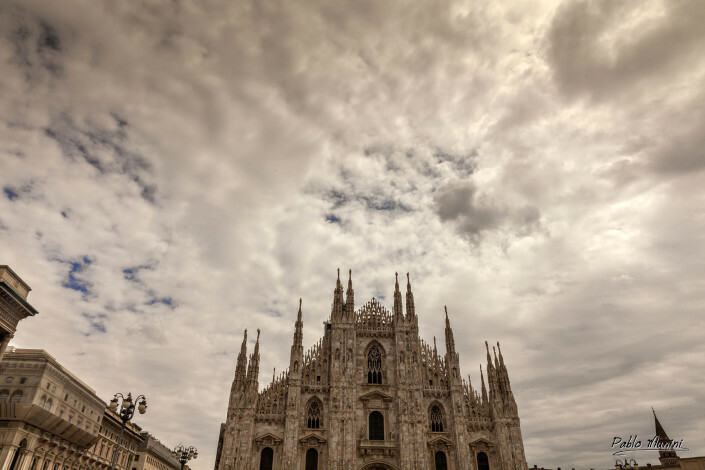 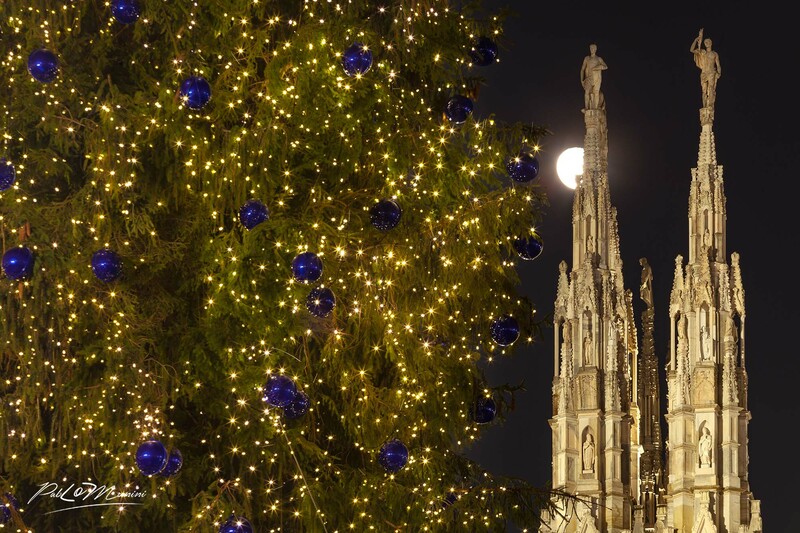 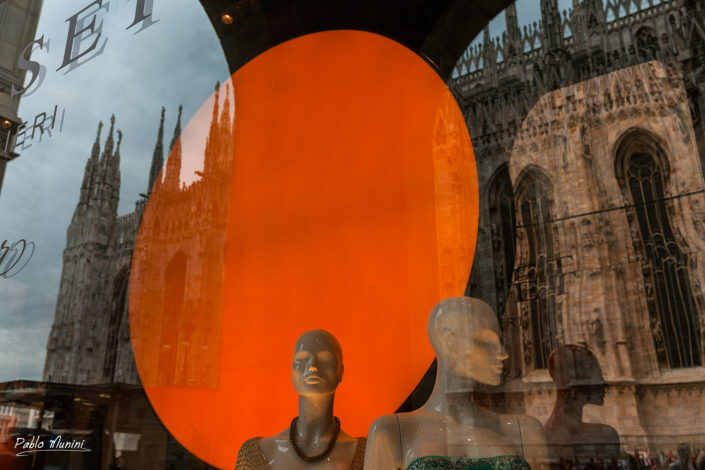 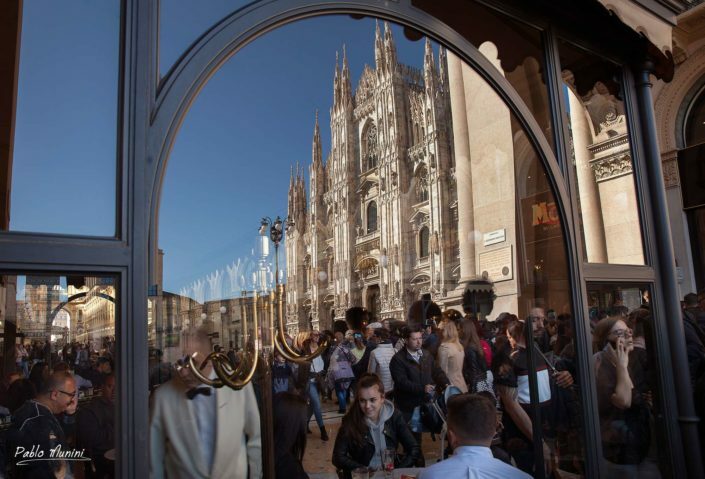 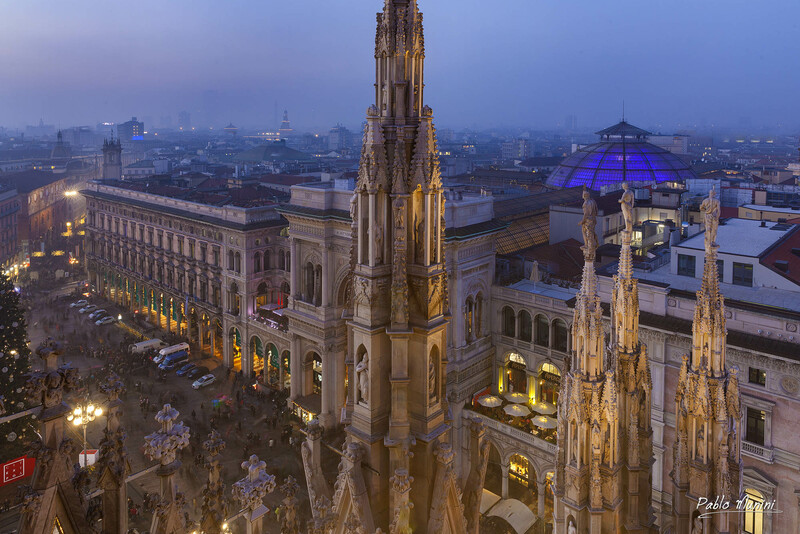 Please, take a moment out of your busy day to visit my site gallery “Piazza Duomo, Milano”, and allow yourself a few moments to be swept away by its beauty.